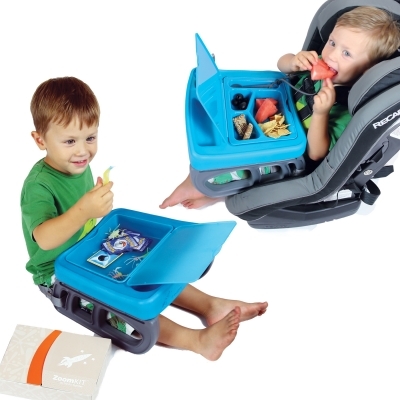 A lightweight, grab-n-go travel table and activity system that helps with dropsies, messes, organization, and entertainment. Fits car seats, boosters, and airplane seats. Great idea for making car rides much smoother and enjoyable for both parents and children.